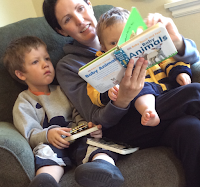 Sometimes (often) when I'm not sure what to write about, I'll just skim through the pictures on my phone till I find one that I'd like to remember the moment of better or that seems fun to share. 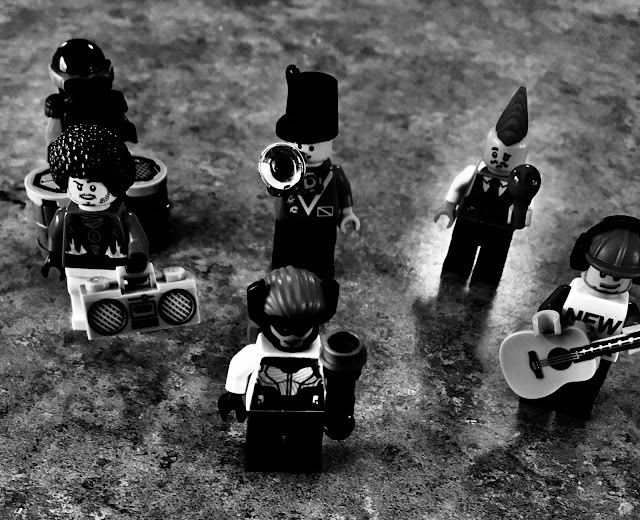 Today I found this most-serious Lego music group picture that Landon must have taken :) I love knowing how carefully each guy/accessory/hair-do was probably chosen to create this funny little band. On a trip to New York several years ago we discovered the lego stores 'build-your-own-mini-figure' and this has become the go-to souvenir. Jordan and I had fun this time standing around the little carousel on our own, sorting through silly and serious faces, hats, shirts, pants and accessories to pick out guys to bring back for each of the kids when we returned.